MLR Institute of Pharmacy, Dundigal, Medchal, Hyderabad - 500043, Telangana, India. ABSTRACT: A new drug delivery system for H2 receptor antagonist ranitidine hydrochloride was developed utilizing both the concepts of adhesiveness and of flotation, in order to obtain a unique drug delivery system which could remain in the stomach for a much longer period of time. Floating mucoadhesive tablets of ranitidine hydrochloride were developed to prolong its release and improve bioavailability. Ranitidine has been the most widely used drug for the treatment of peptic ulcer. A Floating Drug Delivery System (FDDS) was developed using gas forming agents like sodium bicarbonate, citric acid and hydrocolloids, Hydroxyl Propyl Methylcellulose (HPMC) and carbopol 934P. Floating delivery system of ranitidine hydrochloride was prepared using different grades of HPMC as drug release retarding polymer and sodium bicarbonate as source for carbon dioxide which helps tablets to float. Tablets were prepared by direct compression. The prepared tablets were evaluated their physicochemical properties and drug release, density, buoyancy test, mucoadhesion force, swelling study, drug content and in-vitro release profile. INTRODUCTION: Oral controlled release drug delivery is a drug delivery system that provides the continuous oral delivery of drugs at predictable and reproducible kinetics for a predetermined period throughout the course of GI transit and also the system that target the delivery of a drug to a specific region within the GI tract for either local or systemic action. All the pharmaceutical products formulated for systemic delivery via the oral route of administration, irrespective of the mode of delivery (immediate, sustained or controlled release) and the design of dosage form (solid dispersion or liquid), must be developed within the intrinsic characteristics of GI physiology. Therefore, the scientific framework required for the successful development of oral drug delivery systems consists of basic understanding of (i) physicochemical, pharmacokinetic and pharmaco-dynamic characteristics of the drug (ii) the anatomic and physiologic characteristics of the gastrointestinal tract and (iii) physicochemical characteristics and the drug delivery mode of the dosage form to be designed. The main areas of potential challenge in the development of oral controlled drug delivery systems are: To develop a viable oral controlled release drug delivery system capable of delivering a drug at a therapeutically effective rate to a desirable site for duration required for optimal treatment. To modulate the GI transit time so that the drug delivery system developed can be transported to a target site or to the vicinity of an absorption site and reside there for a prolonged period of time to maximize the delivery of a drug dose. If the drug to be delivered is subjected to extensive hepatic first-pass elimination, preventive measures should be devised to either bypass or minimize the extent of hepatic metabolic effect. Conventional oral controlled dosage forms suffer from mainly two adversities. The short Gastric Retention Time (GRT) and unpredictable Gastric Emptying Time (GET). A relatively brief GI transit time of most drug products impedes the formulation of single daily dosage forms. Altering the gastric emptying can overwhelm these problems. Floating Drug Delivery Systems (FDDS) have a bulk density less than gastric fluids and so remain buoyant in the stomach without affecting gastric emptying rate for a prolonged period of time. While the system is floating on the gastric contents, the drug is released slowly at the desired rate from the system. After release of drug, the residual system is emptied from the stomach. This results in an increased GRT and a better control of the fluctuations in plasma drug concentration. Therefore, it is desirable to formulate the muco-adhesive drug delivery systems. Mucoadhesion is the relatively new and emerging concept in drug delivery. Mucoadhesion keeps the delivery system adhering to the mucus membrane. Transmucosal drug delivery systems show various merits over conventional drug delivery systems. Mucoadhesive polymers facilitate the muco-adhesion by their specific properties. This article reviews desirable properties of mucoadhesive polymers and the latest advancement in the field. Ranitidine hydrochloride is a histamine H2-receptor antagonist that inhibits stomach acid production. It is commonly used in treatment of Peptic Ulcer Disease (PUD) and Gastro Esophageal Reflux Disease (GERD). MATERIALS AND METHODS: Ranitidine was received from hetero labs pvt.ltd, Hyderabad. HPMC K-4, HPMC K-5, HPMC K-15, and HPMCK-100 used as polymer. Lactose, magnesium stearate, talc, sodium bicarbonate and citric acid were of analytical grade. Preparation of Floating Tablet of Ranitidine HCl: The ingredient were weighed accurately and mixed thoroughly powder passed through 44 mesh sieve. Implies direct compression consists of compressing tablets directly from powdered material without modifying the physical nature of the material itself. These materials possess cohesive and flow properties that make direct compression possible. Direct compression vehicles or carriers must have good flow and compressible characters these properties are imparted by predisposing these vehicles to slugging, spray drying or crystallization. Tablets were white and round. Hardness, friability and weight variation were evaluated. Evaluation of Powder: The flow properties of granules (before compression) were characterized in terms of angle of repose, tapped density, bulk density, Carr’s index and Hausner’s ratio. Where, M is the mass of powder and V0 is the bulk volume of the powder. Where, d tap = Tapped density or True density, d bulk = Bulk density. Hardness: Hardness of the tablet was determined by using the Monsanto hardness tester. The lower plunger was placed in contact with the tablet and a zero reading was taken. The plunger was then forced against a spring by turning a threaded bolt until the tablet fractured. As the spring was compressed a pointer rides along a gauge in the barrel to indicate the force. Weight Variation: 20 tablets were selected and weighed collectively and individually. From the collective weight, average weight was calculated. Each tablet weight was then compared with average weight to ascertain whether it was within the permissible limits or not. Not more than two of the individual weights deviated from the average weight by more than 7.5% for 300 mg tablets and none by more than double that percentage. Drug Content: 20 tablets of each formulation were weighed and powdered. The quantity of powder equivalent to 100 mg of ranitidine HCl was transferred in to a 100 ml volumetric flask and the volume adjusted to 100 ml with 0.1N HCl. Further 1ml of the above solution was diluted to 100 ml with 0.1N HCl and check the absorbance of the resulting solution was observed at 315 nm by UV spectroscopy. In-vitro Buoyancy Studies: The in-vitro buoyancy was determined by floating lag time and total floating time. The tablets were placed in a 100 ml beaker containing 0.1N HCl. The time required for the tablet to rise to the surface and float was determined as Floating Lag Time (FLT) and the duration of the time the tablet constantly floats on the dissolution medium was noted as the Total Floating Time respectively (TFT). Dissolution Studies: 900 ml 0f 0.1N HCl was placed in the vessel and the USP apparatus-II (Paddle Method) was assembled. The medium was allowed to equilibrate to temp of 37 ± 0.5 °C. Tablet was placed in the vessel and the vessel was covered, the apparatus was operated for 10 h at 50 rpm. At definite time intervals, 5 ml of the fluid was withdrawn; filtered and again 5 ml of the fresh buffer was replaced. Suitable dilutions were done with the dissolution fluid and the samples were analyzed spectrophotometrically at 313 nm. The optimized formulation was compared with marketed product of ranitidine. The evaluation parameters tested and compared were drug content uniformity and in-vitro dissolution profile. Stability Studies: The optimized formulation was tested for a period of 30 days at 30 ºC with 75% Rh, for their drug content and other parameters. RESULTS AND DISCUSSION: Formulation development and evaluation parameters have been performed in satisfactory data. Among all the formulations F5 was the optimized formulation with drug content of 97.51% and drug release of 97.6%. It is compared with the marketed product and F5 shows better drug release profile shown in Fig. 3. Title of this study will be done for prolonged the bioavailability of the dosage form. It is a new drug delivery system to maximize effectiveness and compliance. Ranitidine HCl is use for gastric problems. The advantage of floating drug delivery system is to extend the release of drug, increases gastric retention time and enhances bioavailability by superior technology of floatation and adhesion to achieve gastric retention. 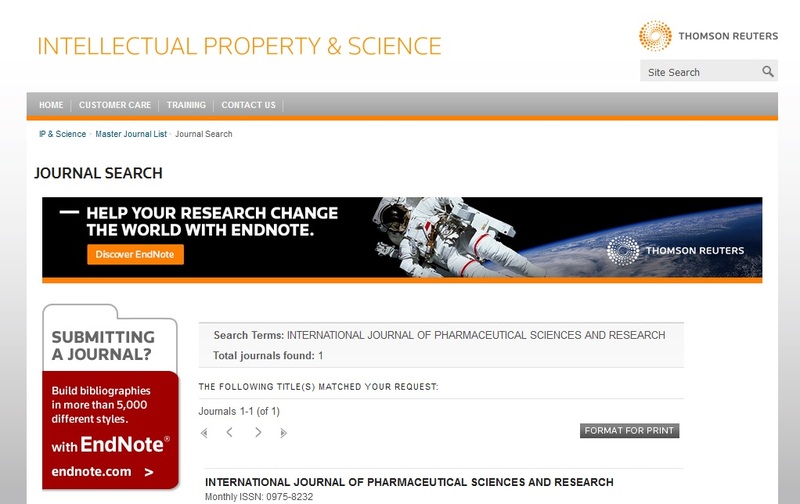 CONCLUSION: This study discusses the preparation of floating tablets of ranitidine. The effervescent-based floating drug delivery was a promising approach to achieve in-vitro buoyancy. The addition of gel-forming polymer HPMC K4 M, HPMC K15 M, carbopol 934P and gas-generating agent sodium bicarbonate was essential to achieve in-vitro buoyancy. Addition of citric acid, to achieve buoyancy under the elevated pH of the stomach, caused an enhancement in drug release. The type of polymer affects the drug release rate and the mechanism. Polymer swelling is crucial in determining the drug release rate and is also important for flotation. A lesser FLT and a prolonged floating duration could be achieved by varying the amount of effervescent and using different polymer combinations. The in-vitro drug release profiles obtained for tablets made with combinations of HPMC K4M, HPMC K15M and a prolonged floating duration which was a controlled release characteristic (97%) for 10 h. Good stability was observed for one month during stability studies. Since the optimized formulation (F5) showed sufficient release for prolonged period, the dose can be reduced and possible incomplete absorption of the drug can be avoided. Robinson J and Lee VHL: Controlled drug delivery: Fundamentals and Applications, Marcel Dekker, New York, Edition 2nd, 1978: 24-36. Chein YW: Novel drug delivery systems, Marcel Dekker; New York, Edition 2nd, 1992: 4-56. 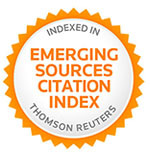 Banker GS and Rhodes CT: Modern Pharmaceutics. Marcel Dekker, New York: Edition 3rd, 1996; 678-721. Vyas SP and Khar RK: Controlled drug delivery: Concepts and Advances, Vallabhprakashan, New Delhi, Edition 1st, 2002: 345-376. Yeole PG: Floating drug delivery system: Need and Development, Ind. J. Pharm. Sci. 2005; 67(3): 265-272. Aurora S: Floating drug delivery: A review. AAPS Pharm Sci Tech. 2005; 47(11): 268-272. Desai S and Bolton S: A floating controlled release system: In-vitro and in-vivo evaluation, J. Pharm. Res., 1993; 10: 1321-1325. Garg S and Sharma S: Gastroretentive drug delivery systems. Pharma Tech. 2003; 160-164. Narendra C, Srinath MS and Babu G: Optimization of bilayer floating tablet containing nevirapineas a model drug for gastric retention. AAPS Pharm Sci Tech. 2006; 7. Srivastava AK, Wadhwa S, Ridhurkar D and Mishra B: Oral sustained delivery of atenolol from floating matrix tablets-formulation and in-vitro Drug Dev. Ind. Pharm 2005; 31: 367-74. Dave BS, Amin AF and Patel MM: Gastro retentive Drug delivery system of ranitidine hydrochloride: formulation and in-vitro AAPS Pharm. Sci. Tech. 2004; 5. Dalavi VV and Patel JS: Gastro retentive drug delivery system of an antiretroviral agent. Int. J. Pharm Tech Res. 2009; 1(4): 1678-1684. Sivabalan M, Vani TP, Reddy P, Vasudevaiah, Jose A and Nigila G: Formulation and evaluation of gastro retentive glipizide floating Int. J. Compre. Pharmacy (IJCP) 2011; 1(03). Bhise SB and Aloorkar NH: Formulation and in-vitro evaluation of floating capsules of theophylline. J. Pharm Sci. 2008; 70(2): 224-227. Karkhile VG, Sontakke MA, Karmarkar RR, Barhate SD and Tupkari SV: Formulation and in-vitro evaluation of furosemide tablets. Int. J. Pharm. Res and Develop. 2010; 1: 224-229. 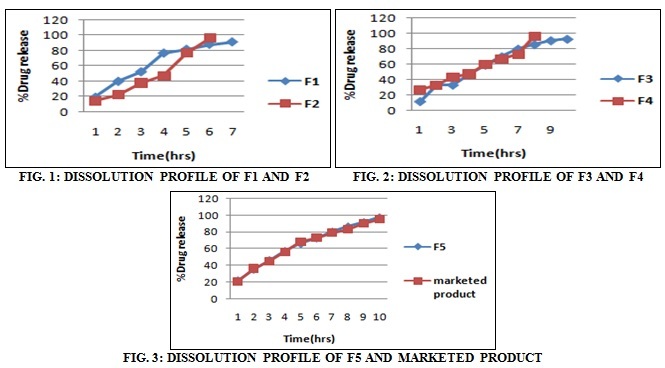 Patel A, Jha SK, Panchal H, Shukla T and Shah A: Formulation development and evaluation of famotidine floating tablet. J. Pharm. Sci. 2014; 4(3): 224. Shekar BC, Kiran RS and Babu BN: Preparation and evaluation of gastro retentive floating tablets of ketoconazole. Int. J. Pharma Res and Develop. 2010; 2(9): 174-184. Patel P: Formulation and in-vitro evaluation of floating matrix tablets of ofloxacin. Asian J. Res. Pharm. Sci. 2011; 1(1): 17-22. B38Khan T, Nazim S, Sheikh S and Sheikh A: Design and in- vitro evaluation of floating diltiazem hydrochloride tablets based on gas formation. Int. J. Pharma and Bio Sci. 2010, 3(6): 1263-1267. Thakkar VT, Shah PA, Soni TG, Parmar MY, Gohel MC, Gandhi TR: Fabrication and evaluation of levofloxacin hemihydrates floating tablets. Res Pharm Sci 2008; 3: 1-8. Bomma R, Swamy Naidu RA, Yamsani MR and Veerabrahma K: Development and evaluation of gastro retentive norfloxacin tablets. Act. Pharma 2009; 59: 211-21. Rahman Z, Mushir A and Khar RK: Design and evaluation of Bilayer floating tablets of captopril. Act. Pharm 2006; 56: 49-57. 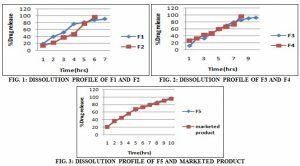 Maheshwar M: Formulation and evaluation of sustained release floating mucoadhesive tablets of ranitidine HCl. Int J Pharm Sci & Res 2018; 9(10): 4451-56. doi: 10.13040/IJPSR.0975-8232.9(10).4451-56. Authors Address: MLR Institute of Pharmacy, Dundigal, Medchal, Hyderabad, Telangana, India.